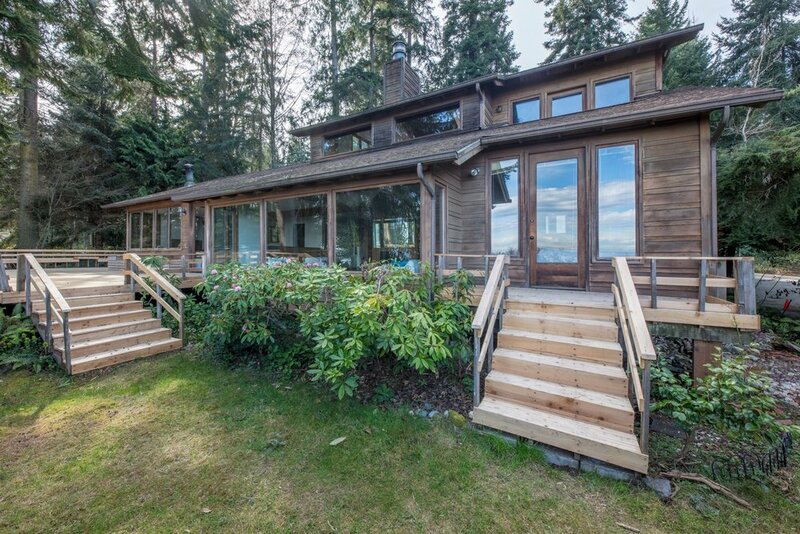 Pacific NW contemporary with sweeping views of Puget Sound, deeded beach access & expansive outdoor living. 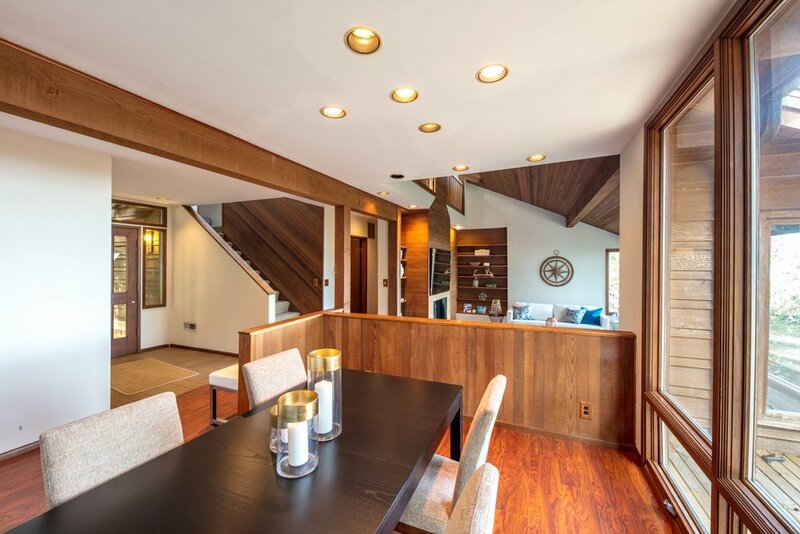 Vaulted ceilings, phenomenal light and views from nearly every room. Private master suite features balcony, loft, sauna & bonus room. Cozy family room opens to the kitchen and wrap around deck. Main floor view bedroom with separate entry. Access to miles of shell lined beach from a quiet island setting close to Faye Bainbridge Park & Rolling Bay amenities. Protective view covenants.